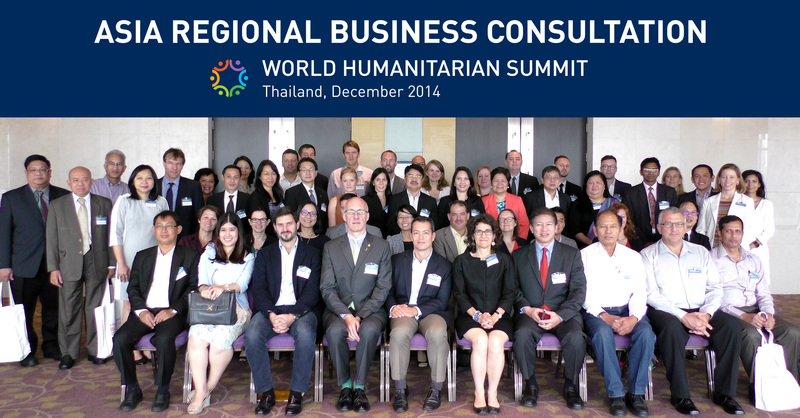 Last week I was invited by OCHA to attend the Asia Regional Business Consultation in Bangkok to be part of discussions about how to improve collaboration and better-targeted private sector support in emergencies. These were interesting conversations to be a part of as Sahana has always sought to engage a diverse range of stakeholders. There was an presentation from the Philippine Disaster Recovery Foundation (PDFR) about the work they have been doing, particularly after Typhoon Haiyan bring together often competing companies to fundraise and collaborate on delivering programs. For example, they have been working with Hewlett-Packard (HP) to establish two e-health centers in the affected areas. We also heard about the work that DHL has been doing to support OCHA, both in providing logistics support in response to disasters and also in their “Get Airports Ready for Disaster” (GARD) preparedness program to increase the capacity of airports after natural disasters. An idea was also proposed for a “Disaster Relief Exchange” to be a centralized platform to share information on supplies and needs for Agencies, suppliers, NGOs and donors. I’m already talking to the stakeholders to see if Sahana could be used to build or integrate with the platform. One of the most interesting ideas was the idea of “Key Immediate Needs” being developed by OCHA. Based on analysis of the final Central Emergency Response Fund (CERF) applications of 31 emergencies (Great use of data!) it was determined that 77% of funding was for Food, Health, Shelter/Non Food Items (NFIs) and Water Health and Sanitation (WASH). These categories were further broken down into a list of the items that are required at the different stages of an emergency with could be provided by the private sector. This list would be a great starting point to populate data in Sahana for the items that may be requested. These are still being refined further and there was some discussion about the level to which these items need to be customized to different contexts in different countries. There was also some discussion about whether it was better to think about this in terms of services needing to be provided to affected populations rather than just asking for items. This would give a more holistic perspective and create for better engagement with the private sector and opportunities for innovative delivery of these services. Please feel free to share any of your thought in the comments of this blog. Like all gatherings, some of the more engaging conversations happened between the sessions. We heard that one of businesses represented at the consultation had 500,000 employees and agents in the region. This lead to a conversation about how this trusted network could be used for the dissemination and collection of information between traditional humanitarian actors and communities. This is an initial overview of how government agencies could provide hazard information such as weather warnings and tsunami alerts to businesses o help them better prepare. 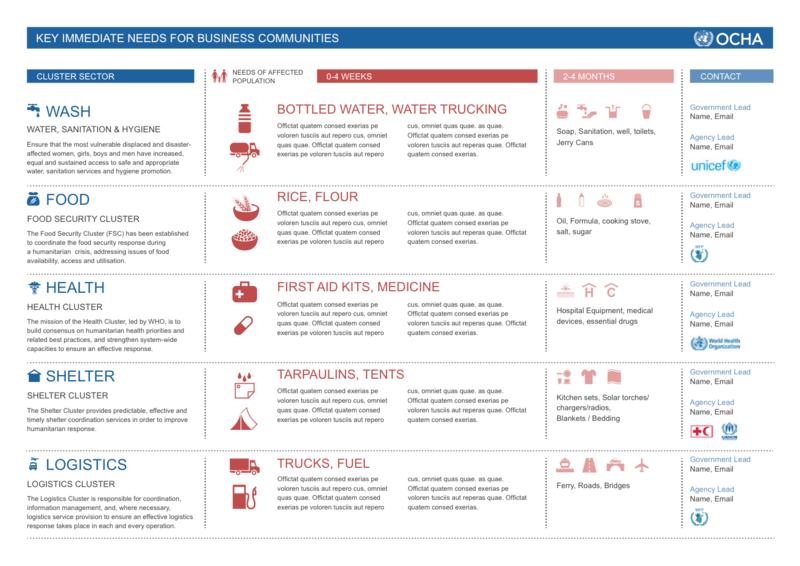 During the response, businesses collect information about the status and needs of their facilities, employees and communities which they are a part of. This information could be disseminated back to government agencies and traditional humanitarian actors to coordinate the response effort. Businesses are affected by disasters as well, and have incentives to mitigate their impact and recover quickly. Larger businesses have entire Business continuity planning (BCP) teams who are responsible for managing this. Although humanitarian-business collaboration starts as a conversation with corporate social responsibility (CSR) departments, I think that if this shifted to engaged BCP teams this could lead to much more mutually beneficial collaboration. Regardless, the first step to collaboration is sharing information, and this is something which Sahana will continue to facilitate.